Yu Yun and her family moved into a new home last year. The apartment is located in a new development zone in central Dafang county, Bijie, South China's Guizhou Province. Judging from the outside, the six-story building is designed in the traditional Yi ethnic style. After entry, it looks as modern as any apartment in most parts of the nation. Yu's apartment on the first floor has a big living room, two bedrooms and a small balcony. The toilet is clean, and the kitchen is equipped with an electric stove. A portrait of Chairman Mao Zedong hangs over the TV. Yu showed the Global Times reporter old family photos. She used to live in a shabby cabin in Shiyan village, Hetao township. The village is deep in the mountains. Zhang Enlong, Yu's husband, could not work due to poor health. The family barely made enough to live on from Yu's farm work. 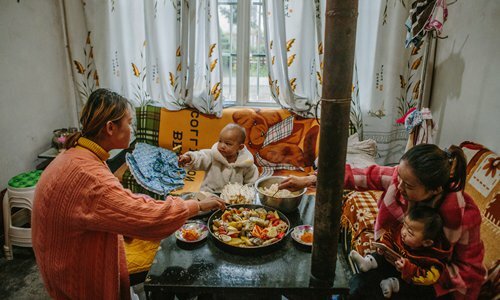 Two years ago, village officials asked Yu and Zhang if they would move into better-developed areas in according to the national policy to relocate poverty-stricken people. "Without the policy, I could never live in such a beautiful home in my life," she told the Global Times happily. Now, Yu is trained to become a professional infant massage therapist. Her two children study in nearby schools, which charge little fees. Yu's story is a reflection of Bijie's poverty-alleviation achievements. The city of Bijie was once among the most impoverished areas in China. Located in the center of the Wumeng Mountains, the area's development had been deeply limited. The karst landscape made farming difficult. Moreover, because of the growing population, the local ecology was heavily damaged. Xi Zhongxun, who is the father of Chinese President Xi Jinping, wrote in a report in 1985 that "12,000 rural households were out of food in Hezhang county in Bijie. The ethnic minorities live a hard life but none blame the country." Xi the senior, then a member of the Communist Party of China Central Committee, said it was a "serious warning" to officials and urged governments to work on changing the situation. In 1988, the State Council, China's cabinet, approved Bijie as a trial zone for environmental protection and construction, development and poverty alleviation, the first program of its kind in the nation. 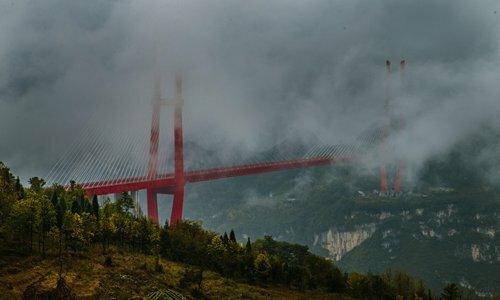 In that year, the entire city's economic activity was only 2.3 billion yuan ($331 million), and the per capita income in rural areas was 316 yuan, according to the Bijie government's website. The economic activity in Bijie, which now has about 4 million rural residents, reached 184 billion yuan in 2017. The average disposable income per capita stood at 8,473 yuan. Of Bijie's counties, six out of seven were originally labeled poverty-stricken counties at the provincial or national level. But now the counties are working to shake off the label of poverty. This Global Times reporter recently visited the Bijie trial zone to experience the miracle-like development in the area. "Cold beauty, seduction, pink lady…" The words were painted in red outside the greenhouses. These are the names of rose species, which residents of Changyan village in Qianxi county, are maintaining. The hill in front of Changyan used to be corn farms, but now it is covered with 429 greenhouses. The roses are sold to big cities such as Kunming in Yunnan Province and Chongqing Municipality, in the main flower markets. Apart from roses, strawberries and dragon fruits are also planted in the greenhouses. This has significantly boosted the income of the villagers. Since 2017, the Evergrande Group, an estate property giant based in South China's Guangdong Province, has helped build these greenhouses. The 429 greenhouses match the 429 poverty-stricken households in the village. Each household can receive 35 percent of the profits, which means an annual income of 4,000 yuan. 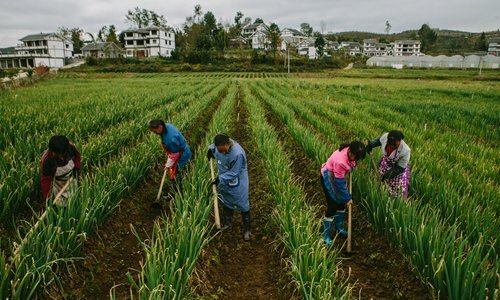 On September 26, the Guizhou provincial government announced that Qianxi has shaken off the label of poverty in 2017, the first country to do so in Bijie. According to the assessment of the State Council Leading Group Office of Poverty Alleviation and Development, the rate of poverty is 1.68 percent, meaning the county has met the standard to be removed from the State-level list of impoverished counties. Qianxi was one of the 65 poverty-stricken counties in Guizhou. 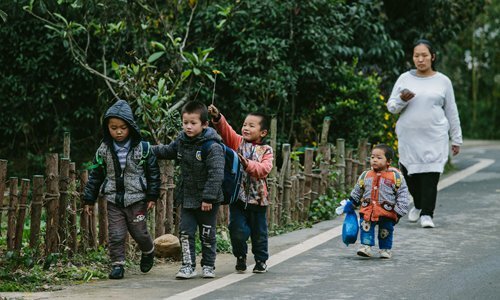 From 2014 to 2017, a total of 30,018 households shook off poverty, involving 123,847 people, according to the official website of the Bijie trial zone. Qianxi has adopted comprehensive approaches, including promoting agriculture, industry, tourism and e-commerce, to shake off poverty. Moreover, the county also makes efforts to improve the living environment of urban residents. Haizi village in Linquan township, Qianxi was nominated as one of the "Top 10 beautiful villages" in 2016. In early November, villagers were busy packing the last kiwis harvested this year. The golden-flesh kiwis can be sold a good price in the market. Couplets on red paper pasted outside the doors hailing the targeted-poverty relief policy could be spotted. "It used to be wet mud everywhere, but now the environment is great," Ma Huafen, a 53-year-old Haizi villager, told the Global Times. She said she now carries hope for her future and is considering shifting to farm tobacco and leek next year. Jiang Yue's grocery is now the busiest place in Muzhai community in Dafang county. His home was in the most remote area in the village. Four years ago, the community decided to develop tourism based on its advantages of location, environment and an attractive ethnic minority culture. In front of Jiang's house, a small amusement park was built. Only 30 meters away stands a water park. Some hotels were also built around the parks. The resort attracts tens of thousands of tourists every summer from Bijie or from nearby Sichuan Province. Jiang opened the small grocery store after the parks were built, selling drinks, snacks, swimsuits and other daily necessities, which could bring him more than 10,000 yuan each month. Previously, Jiang and his wife were migrant workers in Southeast China's Fujian Province, leaving their children to grandparents at home. With the grocery store, the family of five could finally reunite. Talking about their current life, the 32-year-old man with tanned skin was too shy to speak, but his smile proves his satisfaction. Xiong Yan, a 40-year-old villager of Muzhai community, also benefits a lot from the resort. Her Dream Hotel could bring her more than 10,000 yuan a month in the summer. "I have become friends with many of my guests, who would come to my hotel and stay a whole month to relax," she said warmly. In November the temperature is near 0 C and the resort is almost empty, but Xiong can still make money through retailing cotton shoes. She buys them from a factory and sells them directly to the local people. "I can sell 200 pairs every day," she said. Officials from Dafang's publicity department told the Global Times that the county is expected to shake off poverty this year. Their application will be approved in 2019. In 2017, the county's economic output reached 20 billion yuan. 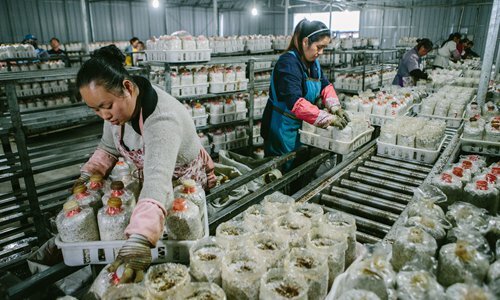 Apart from the Muzhai community, the Global Times reporter also visited a local mushroom factory and a cow farm, which increased the income of local urban residents and brought them more opportunities. 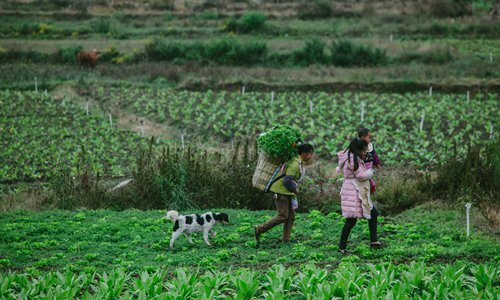 Moreover, Evergrande has allocated 3 billion yuan to Dafang's poverty alleviation efforts, aiming to help 180,000 impoverished people shake off poverty. It was a gloomy and freezing day when the Global Times reporter arrived at Bijie's Nayong. The temperature in the mountains is even lower than Beijing, which is 2,000 kilometers north. Tan Zhengyi, owner of Wucui Mingxiang Ecology Company, was keen to drive the reporter to the deepest part of the mountains. The altitude was 2,300 meters above the sea level. There the company grows newly planted tea trees, each only 20-30 centimeters high, on the hills. Tan stopped to check the tea trees, and then climbed up to a huge water tank, while introducing his tea garden proudly. Tan used to be a mine owner. He believes only eco-agriculture can be sustainable and provide local villagers an opportunities to work and to make a fortune. After three years of failures, in 2013 Tan finally managed to maintain tea trees on the high plateau of more than 1,800 meters. In the past decade, Tan's company has created jobs for more than 500 local villagers, paying 4 million yuan as salary each year, so that the villagers could escape poverty. Tan became a hero in Nayong, and many urban residents have decided to start their own business. Not far from Tan's tea garden, in Xiaotun village, Chen Wuxing is hosting some guests from Northeast China, treating them to baijiu, a Chinese white liquor he makes himself. There are 556 households in Xiaotun, with more than 2,000 villagers from the Han, Miao and Chuanqing ethnic groups. Nine years ago, the village initiated a reform to practice poverty alleviation, development, ecological construction and population control. Now the village features a clean environment, rich life and harmonious neighborhoods. The villagers have also established a congress of seven to make important decisions in a democratic way. The village has become a model for other villages in the poverty-stricken region.